What these disaffected League of Legends players mean by “overloaded” is that the new champion simply has too much going on in his kit—the set of abilities he can deploy during battle. The guy has abilities that stun and slow down opponents, speed himself up, and heal him. Actually, he has three separate abilities that slow targets. And that’s just his slowing moves. Ekko just got released and he’s played in almost every game. While it’s fun to have a more unique champion, something really bothers me about him. Ekko’s W, Parallel Convergence, throws out a large sphere that slows all champions in it by 40%. So Ekko has a slow, that’s nice, that way he can stick to champions he’s trying to assassinate. But wait there’s more! As soon as Ekko jumps into this sphere he also gets a 2.25 second stun on anyone inside AND a several hundred health shield that puts even Riven to shame. Just as an added bonus the W also has a passive effect that deals % missing health damage to targets below 30% hp. So in total Ekko’s W has a slow, stun, shield and execute with % based damage. On top of that he also has his 3 other abilities which results in Ekko having an incredibly overly saturated kit. This creates a problem since it doesn’t matter too much if Ekko misses an ability and as such there is no real window to attack Ekko back. For comparison, if Ahri misses her charm you know you have a window to engage as she is much weaker without it. For Ekko however he has so much to fall back on, that even if he misses an ability he’s still incredibly safe and even might have a kill oppurtunity on you if you engage. “In the end this all adds up to a champion that is just incredibly frustrating to play against,” Seasondrinker concluded. 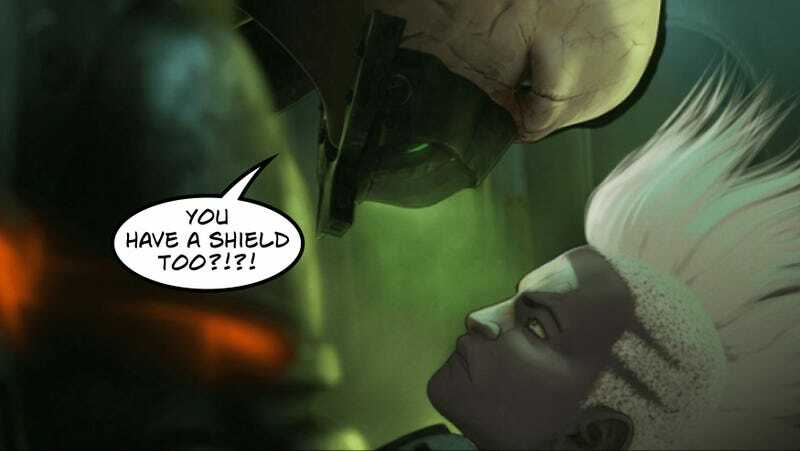 A lot of League of Legends players love Ekko, too. Many of the people who reached out to me after I asked Kotaku readers for their thoughts on the champion, for instance, praised both his dark steampunk-y vibe and his in-game utility. “His kit has a lot of potential,” one League player wrote to me over email. Many others felt the same. The praise and criticism leveled at Ekko don’t necessarily contradict each other, however. League is a fiercely competitive player-versus-player game. A champion who’s frustrating to play against can be very fun to play as, because frustrating your opponent’s is, ultimately, part of your objective. What’s interesting about the knocks against Ekko is what they reveal about the unique and increasingly formidable challenge League of Legends and its developer Riot Games face today. As League has exploded in popularity over the past six years, the game itself has grown in size as well. It now has more than 120 playable characters, compared to the 40 the game first launched with. How do you keep adding new champions on top of a pile that’s already so huge? Even more daunting: how do you make these new champions actually feel, ya know, new? The game’s free-to-play business model requires the developer to constantly produce novel content. Actually making that content feel unique for players is another, much tougher matter entirely. Older champions, meanwhile, have had to be updated just to help them keep up with the increasingly complex game. When the mage Ryze was reworked recently, for instance, one of his abilities was turned from a point-and-click spell to a skillshot. A seemingly small tweak, sure. But one that repeats the same trend of adding more stuff to champions’ base-level kits. When League’s new characters fit into the game well, the added complexity can be a boon that helps shake the game up and keep things fresh and interesting. But when they don’t, it can seem like the game is just piling on a whole lot of extra bells and whistles for no better reason than to keep its content churn alive. Ekko has only been in League for a week at this point, so I hesitate to identify him as a welcome addition or not. But regardless of his quality level as a champion, the simple fact that he now exists means that Riot has made yet another addition to its roster. Another notch on the developer’s belt. One that adds a new pressure to make the next champion, whoever or whatever it may be, stand out from the pack once again.